The debut issue of CR Men&apos;s Book, the guy&apos;s arm of former Vogue Paris editor Carine Roitfeld&apos;s CR Fashion Book, includes an editorial starring Fetty Wap modeling Kanye West x adidas&apos; Yeezy Season 1. When Roitfeld first announced the project, she hinted that West would be involved in selecting new talent from the music industry. 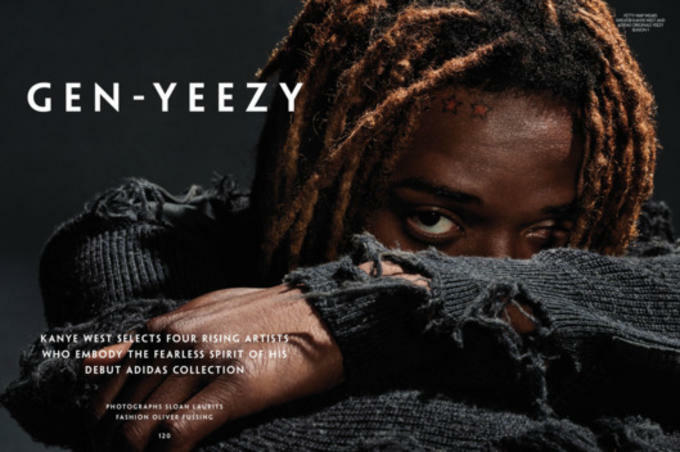 West styled Fetty Wap for this shoot, which shows the rising rapper in one of the worn and beat up sweaters featured in &apos;Ye&apos;s riot-inspired initial collection for adidas. In the issue, Fetty Wap also speaks on the meaning of his song "Trap Queen." "Everybody doesn’t have the same trap queen," he tells CR Men&apos;s Book. "Everyone can have their own trap queen. There is the way I use it in the song, but my mom is a trap queen. She held us down and she was a queen at doing it. She took care of her children and her tribe, made sure we had food on the table, and kept our heads up. However you want to put it, there are different meanings to it." You can feel it in the air: Yeezy season is officially approaching. This is the second good luck we&apos;ve gotten of West&apos;s collection this month after The Weeknd wore it during a shoot for GQ. There&apos;s also a Fandango listing for a second fashion show from West and adidas set to air next Friday, Sept. 11. For Fetty Wap, this is a huge move for the musician who clearly has an interest in the fashion industry. The "679" rapper recently appeared in the revamped pages of Maxim and talked about his sneaker obsession. 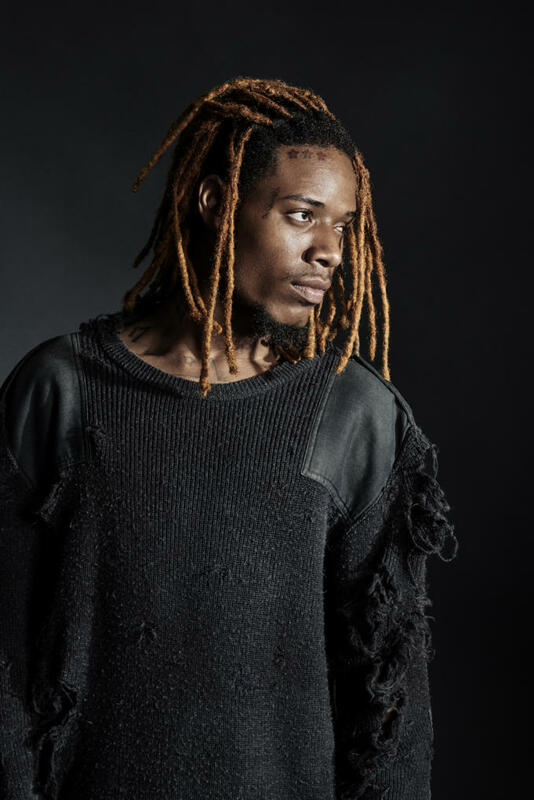 Fetty Wap is only the first of four rising artists West styled for CR Men&apos;s Book, according to an image posted by The Cut. We knew we had good reason to be excited about CR Men&apos;s Book. Since being announced in July, the magazine has also unveiled features with Kate Upton and Jaden Smith. Pre-order the debut issue here before its Sept. 3 release date.